The Occupational Safety and Health Administration recently announced an extension of the compliance date for its crane operator certification by three years moving it from November 10, 2014 to November 10, 2017. 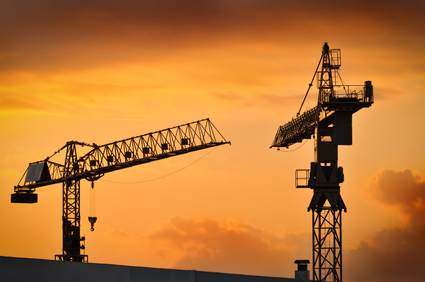 Operators will now have an extra three years to obtain a valid certification to run a crane on U.S. construction sites. OSHA is also extending its employer duty to ensure that operators of cranes are competent to operate cranes safely for the same three-year period. Industry officials initially pushed back on parts of OSHA’s original cranes and derricks rule raising concerns regarding language in the rule requiring tests to be organized around the capacity and type of cranes being operated. In addition industry leaders questioned whether a crane operator certification was sufficient enough in regards to determining whether an operator could operate their equipment safely on a construction site. Industry professionals agreed that a certified operator would need additional training, experience and evaluation beyond the training and evaluation currently required to obtain certification to ensure that the operator could indeed operate a crane safely. OSHA announced that during the extended three year period it will address operator qualification requirements for the cranes standards and has begun the process of developing a standard to ensure crane operator qualifications. Crane issues are not among the most frequently reported safety violations by OSHA but the Administration is nonetheless seeking to ensure that construction site safety extends from not only workers on the ground but to crane operators as well.